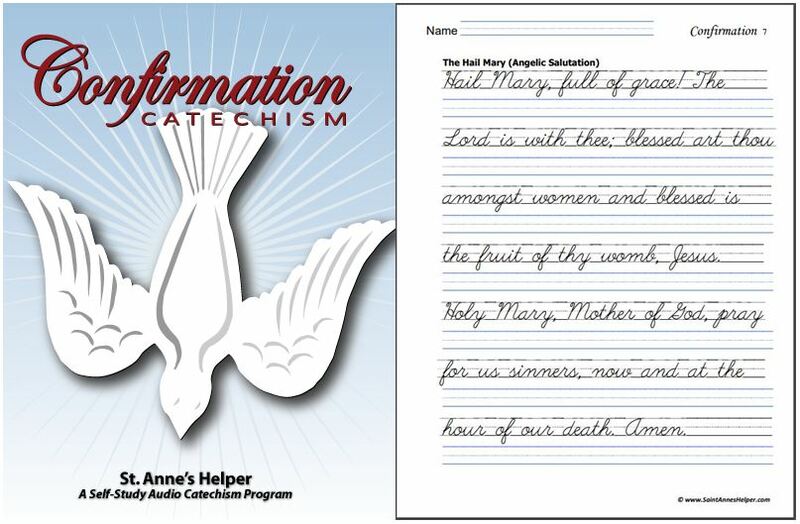 You can teach the Hail Holy Queen, with the Rosary or when studying about the prayers after Mass. It is said at the end of the Rosary and is easy to learn with practice. Children learn it easily especially they pray the Rosary daily. Our Rosary videos (links below) have the words printed so that you can say the prayers with the video even if you haven't learned the prayers yet. 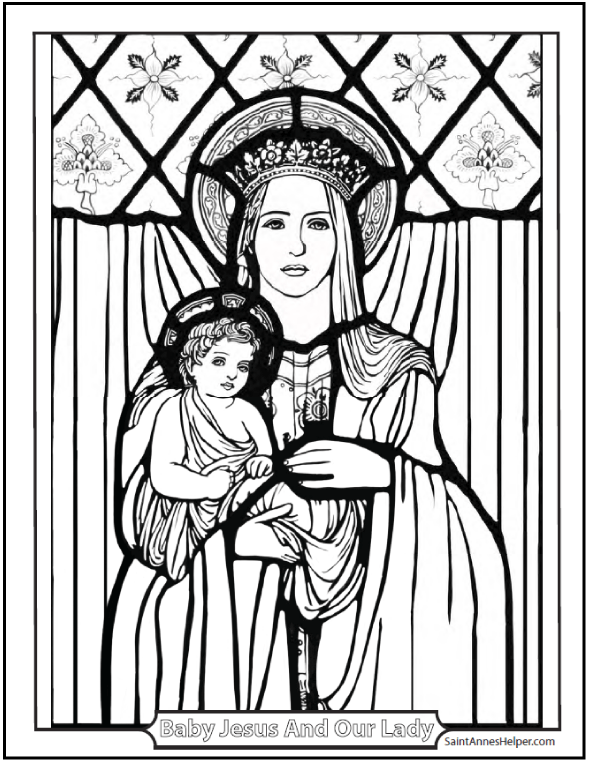 Click on the image to color a picture of Mary, Queen of Heaven and earth. Catholics pray this prayer at the end of the Most Holy Sacrifice of the Mass during the prayers that Pope Leo XIII requested be added after the Last Gospel. They also pray it at the end of the Most Holy Rosary. If God is the Creator of Heaven and earth, and if she is His Most Holy Mother, then it follows that she is the Queen of Heaven and earth. This prayer addresses her as Queen. 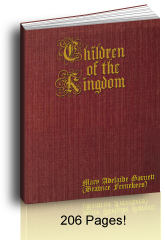 One of the best known Catholic hymns goes by this same title, too, and is sung on her feast days, May crownings, processions, and during the month of May and October at the Mass and other Catholic liturgical events. Turn, then, most gracious Advocate, thine eyes of mercy toward us; and after this our exile show unto us the blessed fruit of thy womb, Jesus. Of the promises of Christ. Amen. 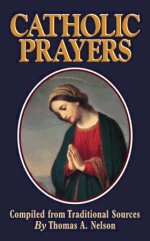 Part I contains the common prayers every Catholic should know by heart" like the Our Father Prayer and "over 25 including the Acts of Faith, Hope, Love and Contrition, plus numerous short invocations. 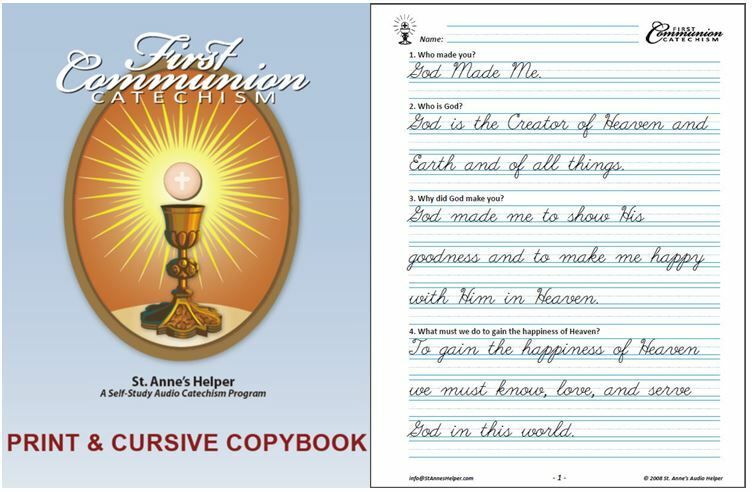 Part II contains over 25 especially powerful prayers: to Our lady, St. Joseph, St. Anne, St. Jude, St. Philomena, St. Anthony, etc. Part III contains miscellaneous favorite prayers: e.g., Morning Offering, Prayers to Our Lady, to St. Joseph for Purity, to overcome a bad habit, for grace, the Te Deum, Consecration to the Holy Ghost, etc. And Part IV contains various other "favorite prayers," such as for a happy death, the choice of a state of life, for priests, Fatima Prayers, for safe delivery of a baby, for the dying, for the dead, for the Poor Souls, etc. 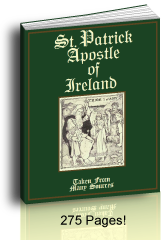 For a small package, this little Prayerbook is dynamite, and should be carried by all!" Have you learned to pray these? Apostles' Creed - first prayer of the Rosary. Our Father Prayer - said during the Mass and Rosary. Hail Mary - ten for each decade of the Rosary. Glory Be - at the end of each decade of the Rosary. Hail Holy Queen - said at the end of a five or fifteen decade Rosary. Confiteor - said during the Mass and Confession. Act of Faith, Hope, & Charity - Faith states the main truths of the Catholic religion. Hope places one's hopes in God's promises. Charity pledges one's love of God and neighbor, this page. Act of Contrition - prayed during the sacrament of Penance, and nightly.